Everyone’s heard the popular saying: “patience is a virtue.” Well, truer words were never spoken when it comes to real estate! Such was the case with one of the four properties I sold last month. I represented the buyers in the sale of a Keauhou property that closed escrow on Christmas Eve – a wonderful present for the buyers! 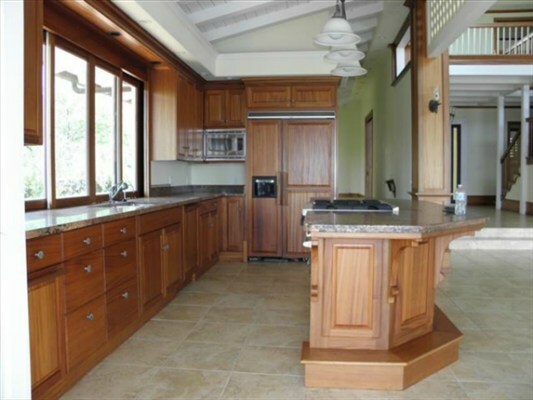 The three bed, five bath Keauhou property sold for $1.35 million just two months after hitting the market (MLS# 277323). The secluded 3,200 square foot house has stunning Pacific Ocean views and is completely energy self-sufficient. For my clients it was love at first sight. They fell head over heels for the old Hawaii design of the spacious home. 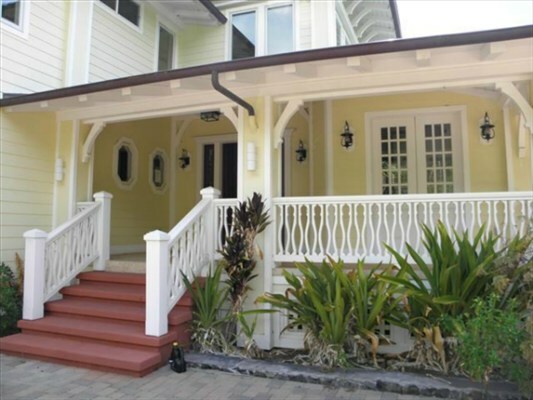 They adored the plantation style architecture and were enchanted by the picturesque ocean sunset views. But that love took a while to find. I’d been working with this husband and wife client for over a year. They wanted to retire to Hawaii and had a very specific wishlist of what their perfect Hawaii home should look like. I played matchmaker, helping them find a property that met both their wants and their needs. 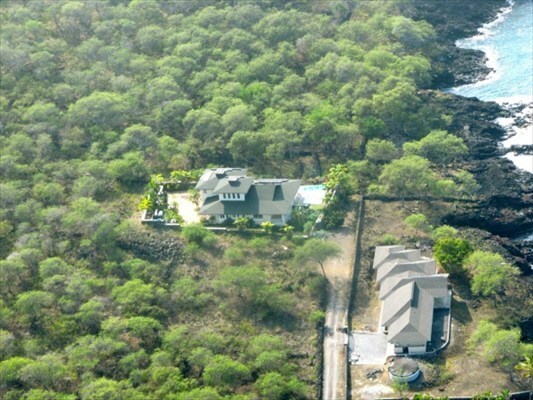 When the Keauhou property hit the market I knew it was the perfect match for my clients. I phoned them immediately and we both said “bingo” as we reviewed the online MLS listing. The clients asked me to tour the property, and using the latest technology on my smartphone (using Facetime), I was able to provide them with a live video tour of the property. They swooned over the 22-foot ceilings and were smitten by the rich ambiance of the African mahogany staircase and the Italian ceramic tile floors. They were enamored by the way the sunlight played on the water in the infinity edge pool and the fact that they could watch whales play in the ocean from the comfort of their covered lanai. But this house has more than just good looks. It’s completely off grid, generating its own electricity and using a catchment system for water. It was also a tremendous value for its location because the property was a foreclosure and originally sold for $6 million. My clients had looked at enough homes to know that this was the one. Within hours of showing them the home via my cell phone video tour, they booked a flight to Hawaii and bought the property. They closed escrow in 30 days – just in time for Christmas. This is a perfect example of patience paying off. I was able to match my clients with a home that not only met, but also far exceeded, their wildest dreams of their perfect home. In fact, the couple has moved to the Big Island and is now living their Hawaii Life! Helping people find their dream home in Hawaii is something I love to do. If you’re looking to retire to Hawaii and would like more information on Big Island homes for sale, give me a call today at (808) 937-7246 or email me.